“There’s no future for us when we go back to Kiribati,” he told the appeal tribunal, adding that a return would pose a risk to his children’s health. “Fresh water is a basic human right … the Kiribati government is unable, and perhaps unwilling, to guarantee these things because it’s completely beyond their control”. 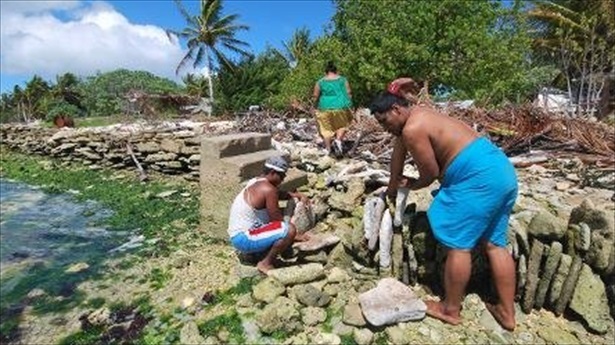 His lawyer Michael Kitt told the New Zealand Herald that the case had the potential to set an international precedent, not only for Kiribati’s 100,000 residents but for all populations threatened by climate change. According to the London-based Environmental Justice Foundation, around 26 million people worldwide have had to migrate due to the effects of climate change. It predicts that this figure could go up to 150 million by 2050. Teitota’s application for refugee status was originally denied by immigration authorities arguing that he could not be considered a refugee because no one in his homeland was threatening his life if he returned. Kitt countered by arguing that the environment in Kiribati was effectively a threat to Teitiota and his children who will have to return with him if he is deported. Rising ocean levels on Kiribati are contaminating drinking water and killing crops, as well as flooding homes. The threat is real- the government has even gone so far as buying a large area of land in Fiji to relocate the entire population. “We would hope not to put everyone on one piece of land, but if it became absolutely necessary, yes, we could do it,” President Anote Tong told the Associated Press last year when his cabinet endorsed the plan. The right of migrant workers to free movement is essential not only for climate justice, but for social justice in the Pacific and worldwide. A decision on Teitiota’s case is expected after we go to press. A follow up to this article will appear in our November issue.